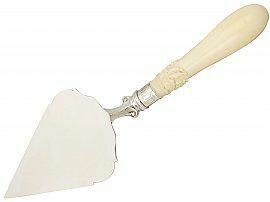 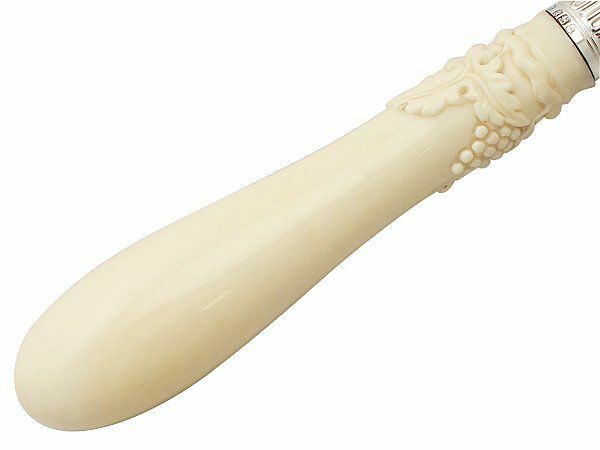 This exceptional antique Victorian ivory handled, sterling silver trowel has a triangular, rounded shaped blade. 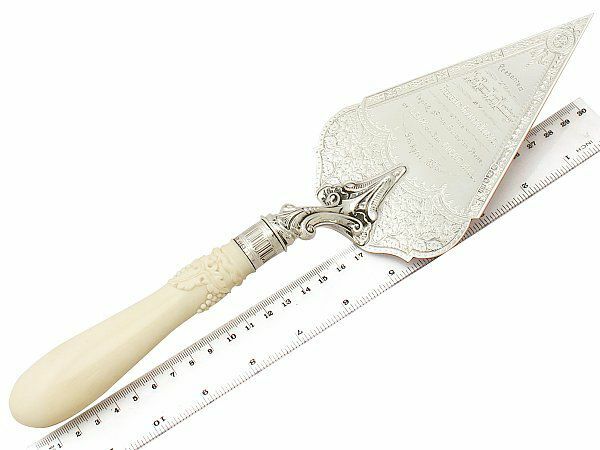 The anterior face of the blade is embellished with impressive bright cut engraved stemmed leaf and floral designs on a matte background to the lower portion. 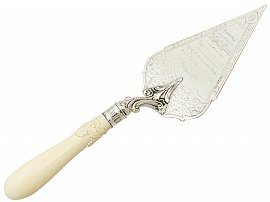 The reverse of the blade is plain and unembellished. 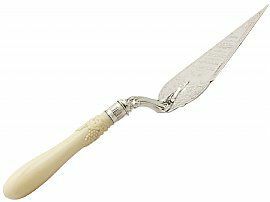 The trowel retains the original, exceptional and large turned ivory handle ornamented grape vine decoration to the upper portion. 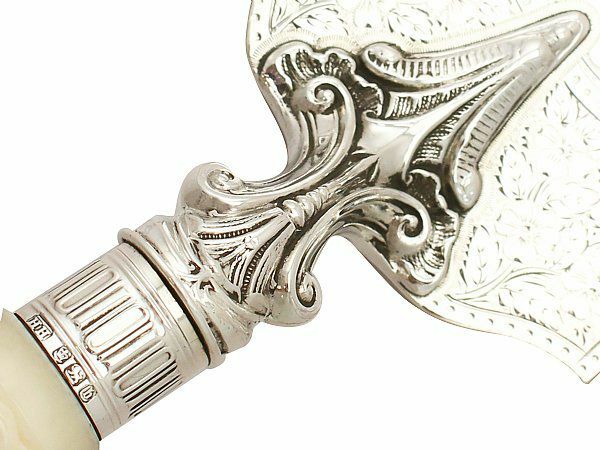 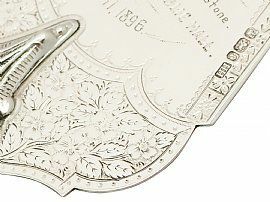 The original, cylindrical hallmarked ferrule is encircled with embossed vertical pale ornamentation, to a shaped chased decorated leaf style bolster. 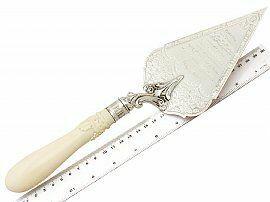 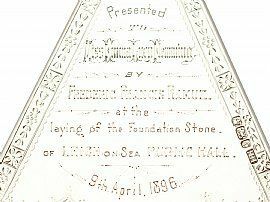 This antique presentation trowel is an exceptional gauge of silver, exceptional quality and in exceptional presentation condition. 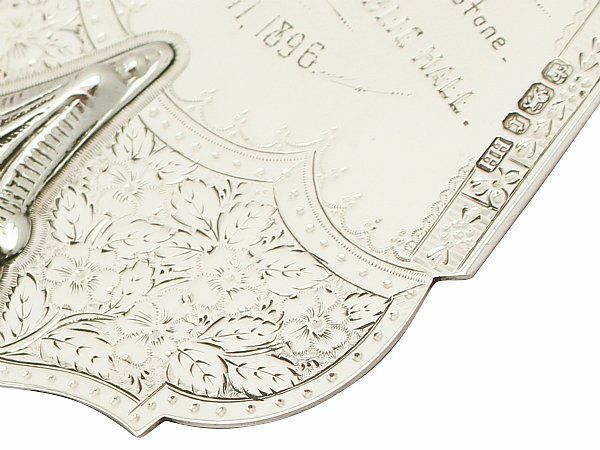 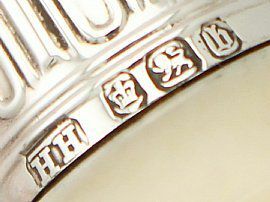 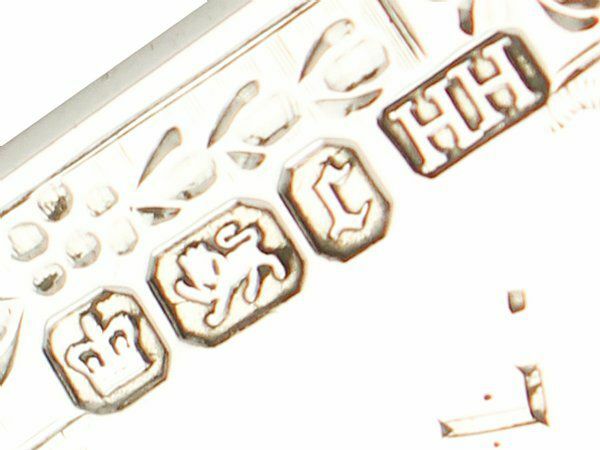 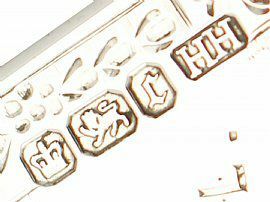 The chased decoration is very sharp and the bright cut engraved decoration is all very crisp. 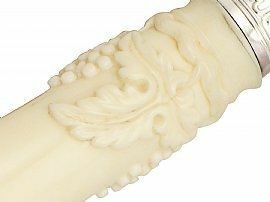 Full hallmarks struck to the surface of the blade and ferrule are all very clear. 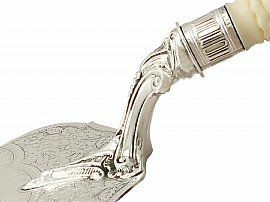 Reflections in photographs may detract from the true representation of this piece of Victorian flatware.